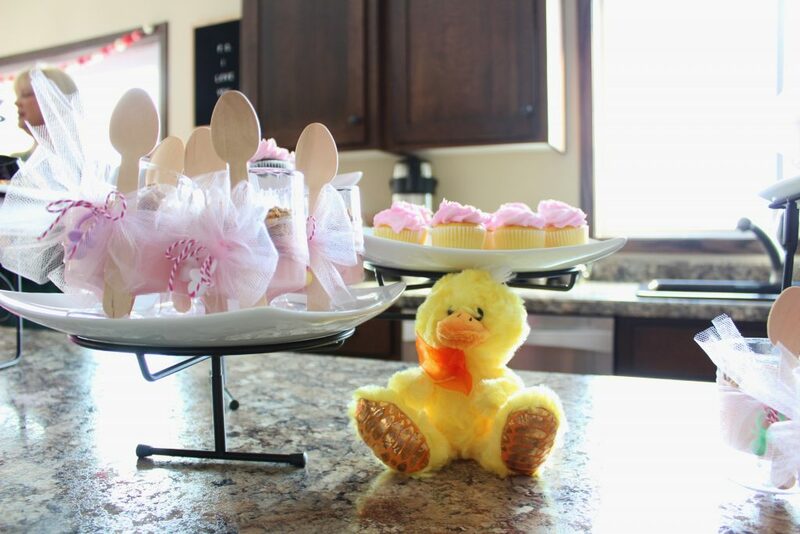 We had the honor of throwing my sister-in-law’s baby shower this month! 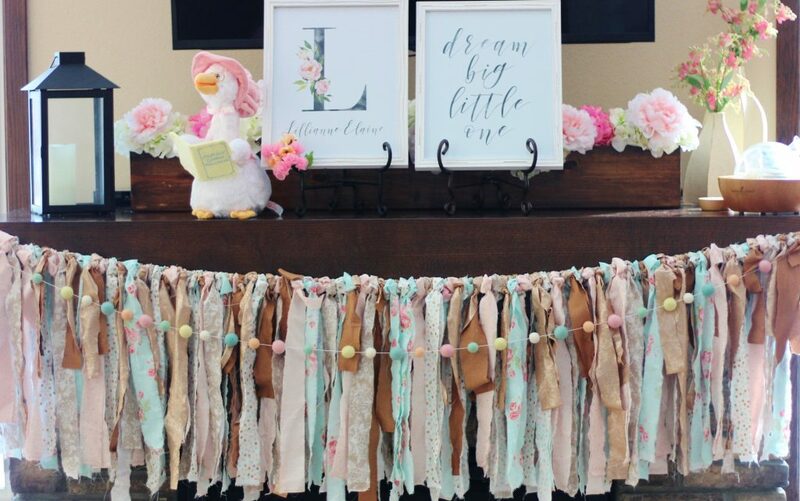 I am so excited to be inviting my first niece on my side of the family. And, while I would love to take credit for the theme, I really can’t. 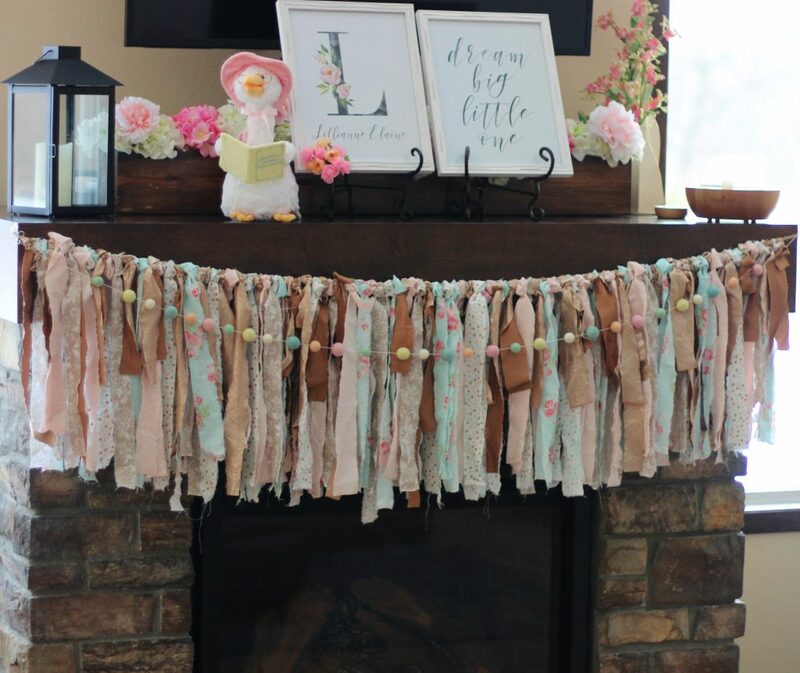 At their gender reveal back in December, my sister-in-law was just beaming and so excited that they were expecting a little girl. 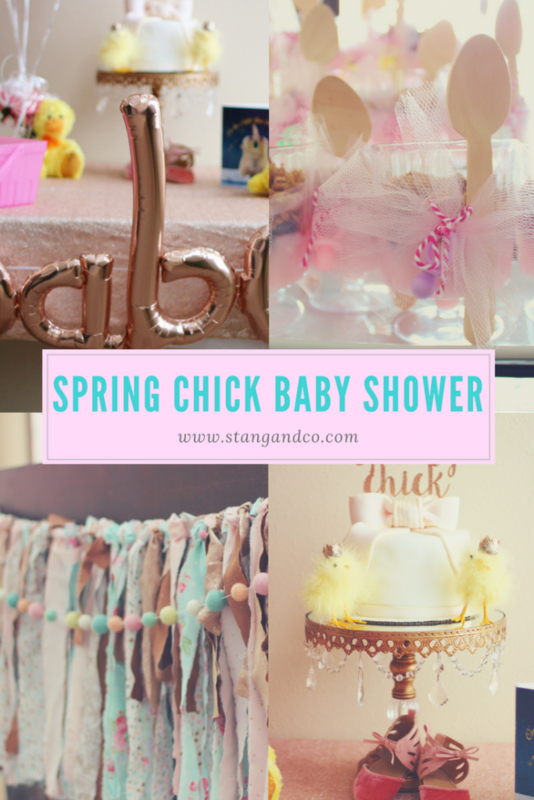 I can still picture her saying, “She will be a little spring chick!” I had been dreaming of lots of pretty pastel colors for spring, and a ‘chick’ theme tied in perfectly! 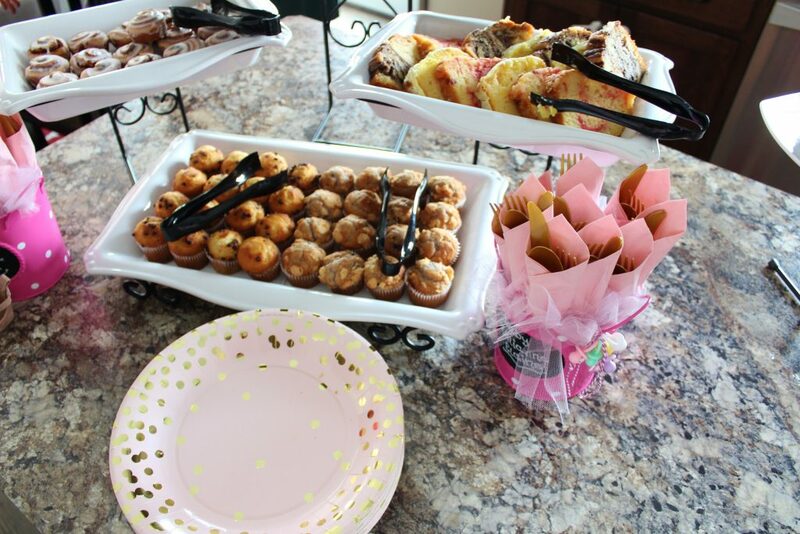 We went with a brunch menu, and served egg bakes, fruit and yogurt parfaits, and lots of pastries! 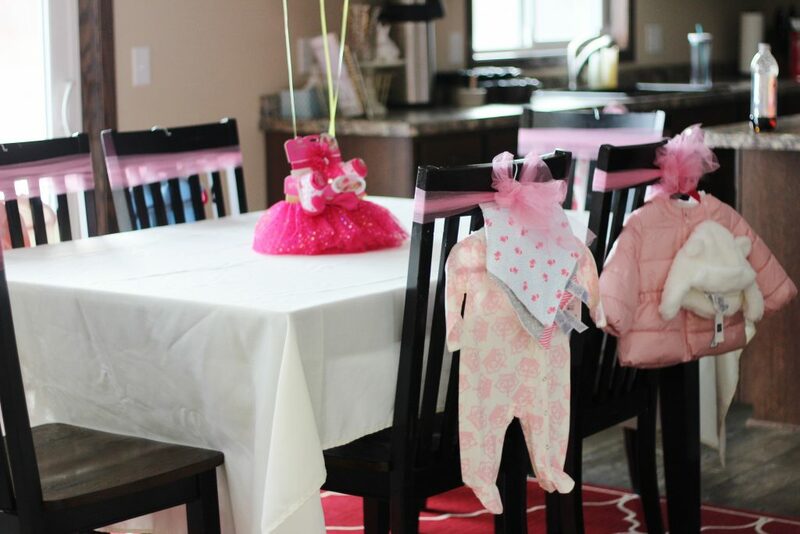 It was such an easy meal to pull together, which allowed us to focus on decorating. 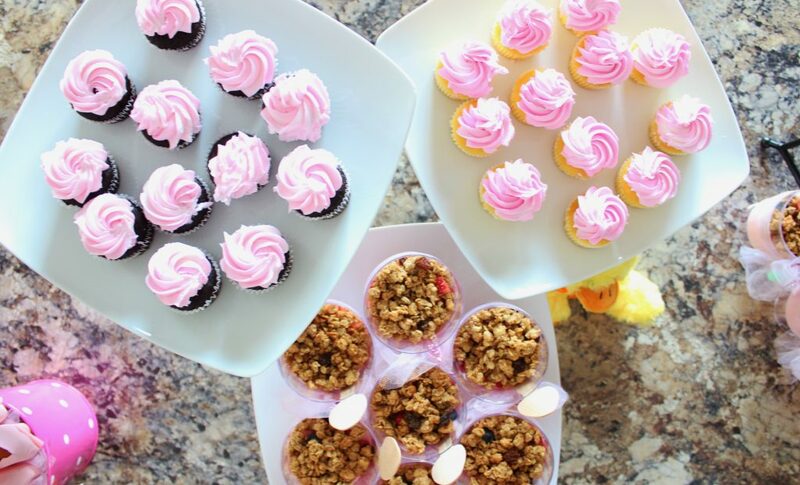 My mom, being the party planner that she is, threw together the cutest individual parfait cups. They were so cute I didn’t want to eat them! 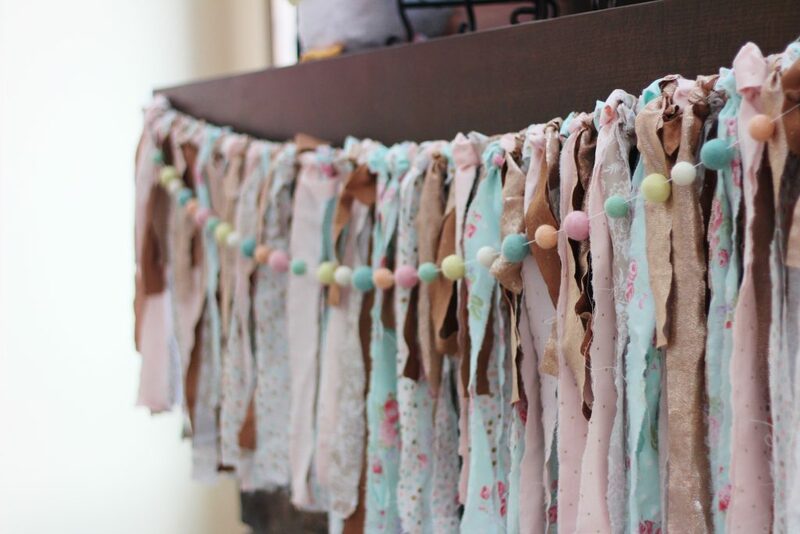 This fabric banner is probably my favorite DIY project I have ever made. I bought five different bolts of fabric, and then just ripped into strips. I then tied them all to a string, and that was it! 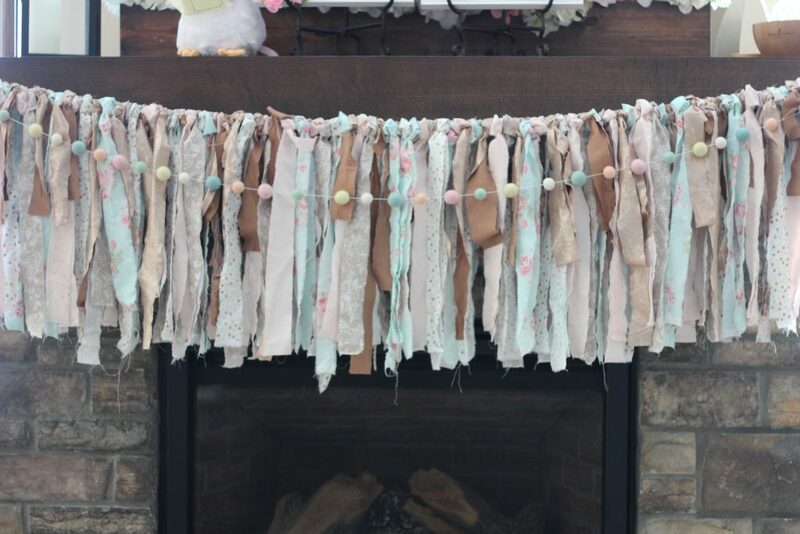 The felt garland is from Glitter Party Co and matched PERFECTLY! 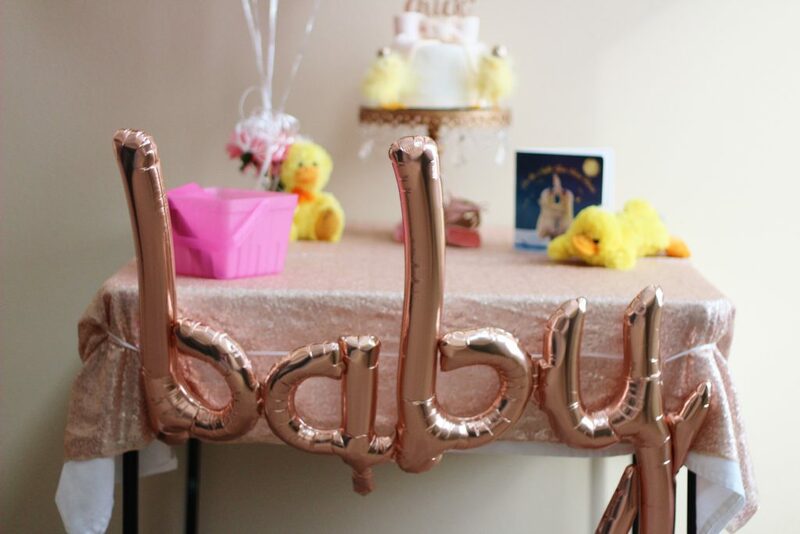 I found this ‘baby’ balloon on Amazon, and I was really happy with it! 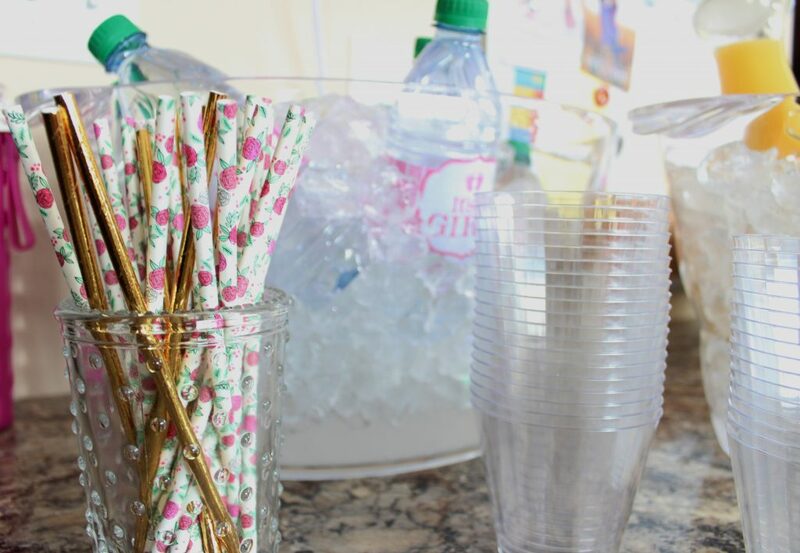 It added such a fun touch to the table decor. 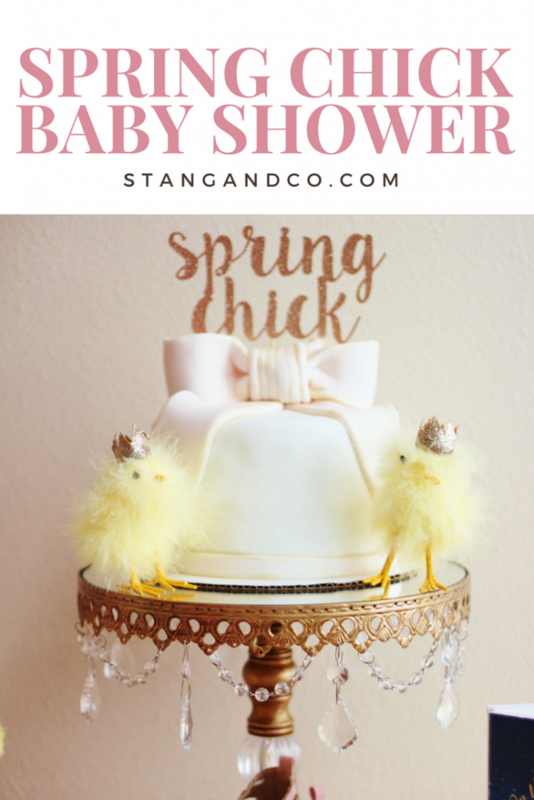 In sticking to the ‘Spring Chick’ theme, we truly scattered little chicks wherever we could! I mean, this cake you guys! I could not love it more. The cake stand is actually from my wedding, I have gotten so much use out of it! 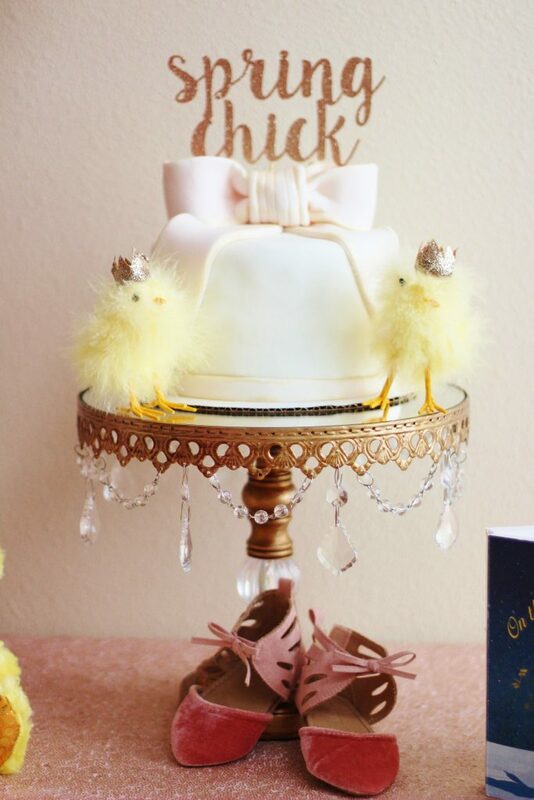 The Spring Chick cake topper is from Glitter Party Co. My mom added in the adorable little shoes that she bought and some little fur chicks to finish off the look. My mom created this chalkboard sign. Fun fact; Home Depot has chalkboard slabs you can buy and have cut in store to perfectly fit any frame! 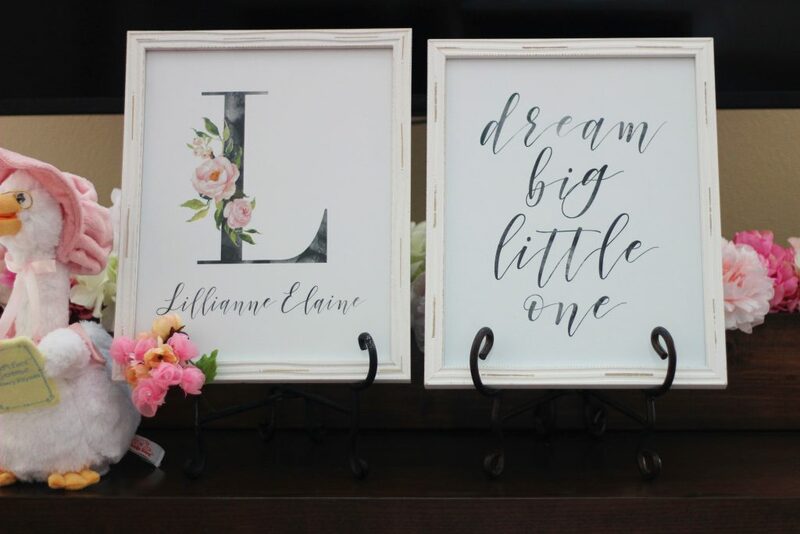 My sister-in-law teared up when she saw these personalized signs from Dear Lily Mae. I have worked with her in the past, and she is always incredible about creating exactly what I had envisioned. 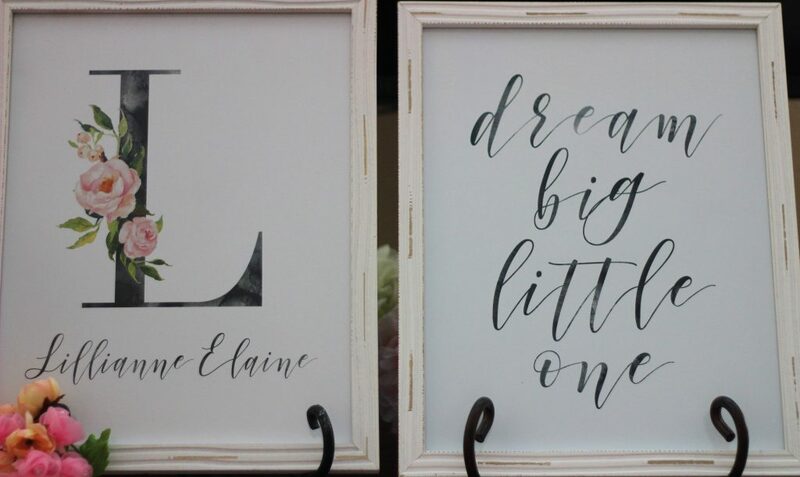 Are they not SO PERFECT for the nursery!? I love using decor when I throw showers that can be taken and used afterwards. Hats off to my mom once again for these parfait cups. She layered yogurt, fresh berries, and granola in plastic dishes. 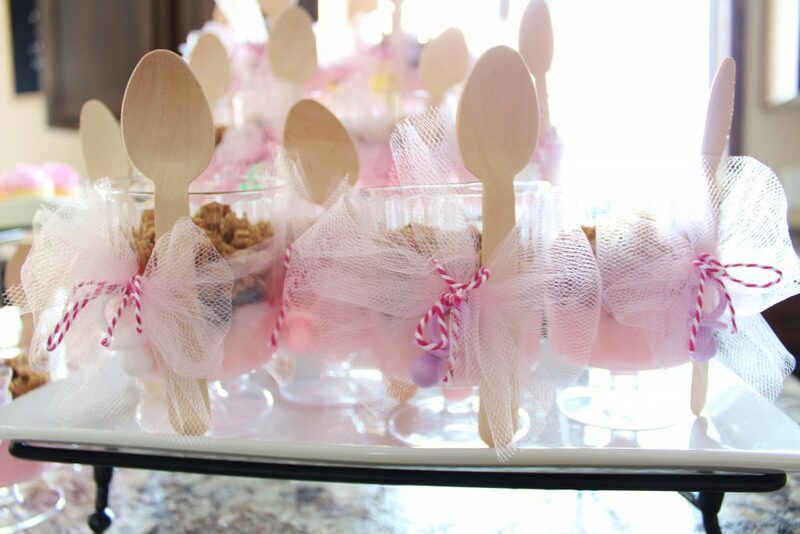 Then she wrapped tulle and string to secure individual spoons. SO much easier than having people make their own! I found this Blush Sequin Tablecloth on Amazon as well, it was super cheap and I am already dreaming of how to use it for future parties! I could not be more happy with how the shower turned out. 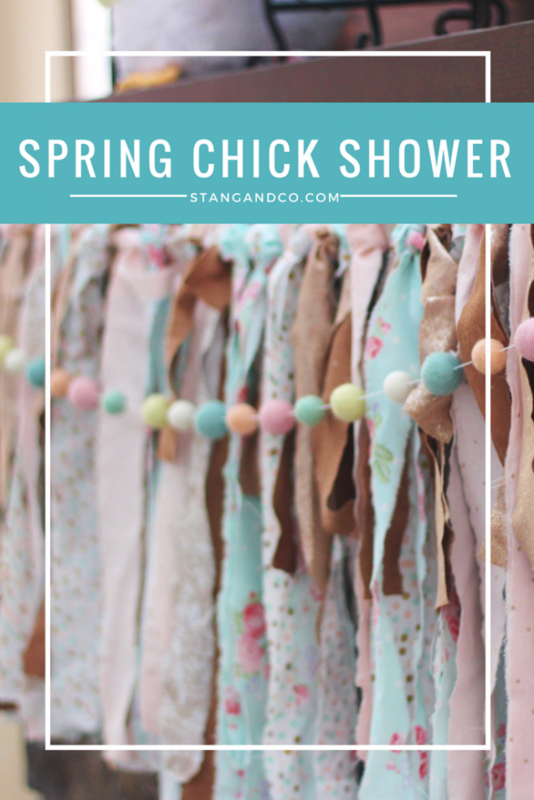 I am just in love with the Spring Chick theme. 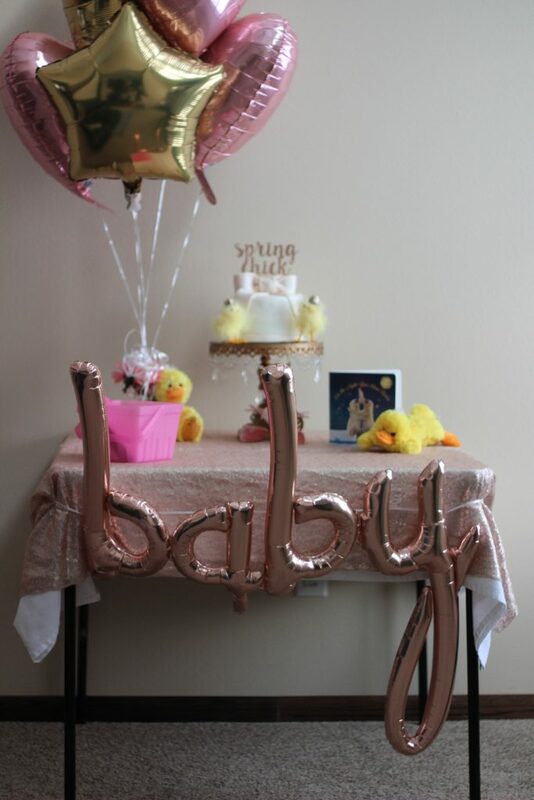 It was so much fun planning a girly event, and now we just count the days until we get to meet Lilly! 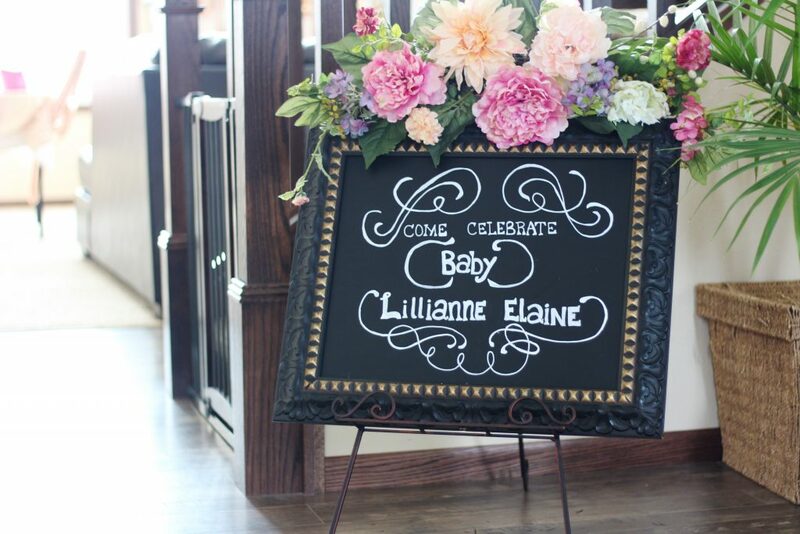 Thank you to the following shops that helped to put on this baby shower! *This post is written in collaboration with shops who donated items. All thoughts and opinions on these items remain solely my own.